Our Member Spotlight for the month of April is West member Maria Komar! Maria has been doing some amazing things at our High Performance Tennis Program and we are so proud of her. Check out our interview with her up on our blog! Men’s and Women’s Singles A-E and Novice played Tuesdays & Thursdays; Men’s Doubles A, B, C, Women’s Doubles A, B, C played Wednesdays and Mixed Doubles A to D played April 15th-27th Have you entered? Guarantee 3 matches in each category. There is definitely a category for you from juniors age U9-U19, A-E and Novice, 50 – 70+ Men and Women. Men’s and Women’s A Championship final played on our Awards Banquet Night May 16th. Make sure to enter two events either doubles or singles cost $69 + HST which includes a chance to move forward to our Tournaments of Champions event in May 24-May 26. Bragging Rights for You and Your Club! Don’t forget to enter your club championships and hopefully represent your club at the 2019 Mayfair Tournament of Champions! Saturday May 11 I 6:30 p.m. – 8:30 p.m.
Sunday May 12 I 6:30 p.m. – 8:30 p.m.
Start time both days is 6:30 p.m.
Takes place on Courts 7 & 8. Four Courts. Maximum of 8 teams in each of the MD & WD draw. Maximum of 16 teams in each in the MXD draw. The winner and runner up of the A, B & C draws will be invited to play in the 2019 Mayfair Tournament of Champions (representing Lakeshore) May 24th – 26th. This will be free for all qualifying players. You can register at the front desk or email sbarrett@mayfairclubs.com. A Massage Therapist and Medical Acupuncture Provider, check out the latest blog post featuring Hubert Mak from Mayfair Wellness Spa as he provides an overview on acupuncture and answers some frequently asked questions about acupuncture! Read his article on our blog! Fill your child’s holidays with Tennis and other engaging, fun activities. All Brochures can be found at the Front Desk. Register Today! Here at Mayfair Lakeshore we are running a Splash and Laugh Summer Camp. The camp consists of arts and crafts, sports, games, cooking class, and SWIMMING! Ages range from 4 to 10. Enroll before June 1 for early bird discount. Check out these great options and register, ASAP, to make sure you get in to your favorite Camp! Instructed by professionals from Logics Academy, this camp is a fun and energetic way to expose your child to 21st century technology through hands-on, interactive activities with robotics, coding, aerospace, and robotic simple machines. Matches are home and away on Wednesday mornings at 10:00 am followed by a lunch. We are launching a brand new Adult House League this Spring. The House League is for players rated between 2.5-3.0 and 3.0-3.5 and similar level players will be grouped together. The cost will cover court fees and new balls each week. If we receive a lot of interest, participants may play bi-weekly, and the cost will be modified. You will work on stroke development, tactics and be match ready in just weeks. Register directly through the Front Desk. Register to start play on March 1st. Registration forms are available at the Front Desk. Mayfair will be entering the Tennis Toronto Junior League this Spring Season. Matches will be played at Lakeshore and at visiting clubs. Please contact Sujit at: sdas@mayfairclubs.com if interested. We are happy to announce the start of our third session for our Junior House League. This is a great way to get kids involved in competitive tennis in a fun environment. Participants learn all the rules of the game along with basic tactics. This includes a complimentary beverage every week. Please contact Sujit at: sdas@mayfairclubs.com to register. Why not let us take all the work of arranging a game of squash for you? Simply let us know and enjoy the Monday House league which goes on till the end of June. Sign up by sending an email to lakeshoresquash@mayfairclubs.com. Men’s & Women’s Singles A-E and Novice played Tuesdays & Thursdays; Men’s Doubles A, B, C, Women’s Doubles A, B, C played Wednesdays and Mixed Doubles A to D played April 15th-27th Have you entered? Guarantee 3 matches in each category. There is definitely a category for you from juniors age U9-U19, A-E and Novice, 50 – 70+ Men and Women. Men’s and Women’s A Championship final played on our Awards Banquet Night May 16th. Make sure to enter two events either doubles or singles cost $69 + HST which includes a chance to move forward to our Tournaments of Champions event in May 24-May 26. Introducing Cory Mccartney, new edition to our Assistant Squash pro Team. Cory is a Squash Canada Certified level 1 Coach. He is ranked on PSA #216 in the world and holds a degree BSc in Neuroscience and Psychology from UofT. Cory is available for lessons and drills on Saturday. Check front desk for details and brochure. There is something for every level and age from Active Start (Ages 4-6) to Junior PRO (Ages 9-13) and Elite PRO (Ages10-15). Your kids will be hitting lots of balls and learning how to become true athletes. SMALL GROUP TRAINING - NEW SCHEDULE! The Elite Small Group Training program is expanding its weekly schedule adding an additional 3 classes. The Elite Small Group Training program offers training to our members in a small group environment, led by our training team. Each class will have a specific focus in terms of training method, this includes, Strength and Conditioning for Athletes, Boxing and Kickboxing. GROUP PILATES REFORMER - NEW SCHEDULE! Starting the Week of December 17th, the Pilates Group Reformer Program will offer 2 more additional weekly classes. The Group Reformer Program is led by trainers Amy Hampton and NEW Pilates Trainer Samantha Lazzarro. Each class offers a balanced variety of training to improve mobility, stability, core and postural muscles. Looking to change up your existing training program while at same time learn the sweet science of boxing? Mayfair offers private, semi private and small group training with expert boxing trainers Michael Quach and William Quinteros. Both trainers are true boxing professionals in every sense of the word, the sessions are built on the fundamentals of boxing training, coupled with a focus on hard work and skill development. Are you looking for a nutrition program with proven results? Power Pump is a head to toe workout that incorporates barbells, dumbbells, core and functional training into one highly intensive workout. The benefits include bone health, balance, improved range of motion, along with overall muscular strength and conditioning. This will be a great compliment to the Thursday night Group Power class. Register for Power Pump today! See the full group exercise schedule at mayfairclubs.com. PUSH your limits and demand your best, as you’re taken through a circuit of high-intensity challenges. 5 exercises times 5 sets. Cardio, plyometrics, speed, agility, core, TRX, and weight training are integrated into each class, which means the class is always changing. See the full group exercise schedule at mayfairclubs.com. This class takes the participants through the martial drills and techniques of both boxing and Kick boxing. This is a head to toe workout that will leave you wanting more. This is the best conditioning class ever. Feel confident and capable as you learn both defensive and attacking drills. See the full group exercise schedule at mayfairclubs.com. Come and join Miranda for her interesting take on this class. This class takes the participants through boot camp, martial arts, cardio and strength techniques. This is a head to toe workout that will leave you wanting more. This is the one of best conditioning classes ever. See the full group exercise schedule at mayfairclubs.com. Train like a fighter, cycle like a cyclist, workout like an athlete. This full body, high intensity workout focuses on cardiovascular and full body conditioning. This is a class you do not want to miss! See the full group exercise schedule at mayfairclubs.com. This class is for the serious cyclist. It covers, pedal stroke, pedaling skills including single leg drills, posture and position on the bike, and off the bike strength work. This class will also help in preparation for cycling goals such as a centurion, charity ride, cycling trip, or the Ironman race. Whatever you are preparing for this class will get you ready. Flexibility, spinal decompression, relief of back pain and improved muscle strength are the goals in this innovative class. Using an apparatus that resembles a hammock and inspiration from Yoga, Pilates, Calisthenics and Aerial Acrobatics, you will have a total-body workout unlike any other. Do something every day that scares you! See the full group exercise schedule at mayfairclubs.com. Mayfair Lakeshore runs a swim team program which works on strokes, endurance and more. Swimming with a team encourages students to work on fitness, competition and personal relationships with others. Register today! Mayfair Lakeshore runs a Little Kids Sports Club for ages 4-6 to learn how to play different sports. This is a complimentary program by Mayfair Lakeshore for junior members that ranges from ages 8-12 years old. Ages 18 months and up. Leave your little ones with us while you enjoy a night out! Kids will enjoy dinner and have fun playing organized games, with other children. $18 per child (including dinner). For more information contact: 416-466 3777 #2243 or email abrinkis@mayfairclubs.com. Ages 3 and up popcorn and drinks $12.00 per child with pass, no pass $14.00 plus HST. For more information contact: 416-466 3777 #2243 or email abrinkis@mayfairclubs.com. Ages 2 and up $14.00 per child plus HST. For more information contact: 416-466 3777 #2243 or email abrinkis@mayfairclubs.com. Ages 3 and up. Popcorn & drinks $12.00 per child with pass, no pass $14.00 plus HST. For more information contact: 416-466 3777 #2243 or email abrinkis@mayfairclubs.com. A (4.0+) & B (3.0 – 4.0) draws in all categories. Register with Brian Clements at lakeshoretennis@mayfairclubs.com. A, B, C, D, E and Novice. The winner and runner up of the ADULTS A, B & C draws will be invited to play in the 2019 Mayfair Tournament of Champions (representing Lakeshore) May 24 – 26. This will be free for all qualifying players. Register with Manu Dutt at lakeshoresquash@mayfairclubs.com. Join our new Lakeshore Bridge Club. Players should be experienced and/ or have completed Bridge Level II with Daniel. Maximum of 24 players per night. Cost: $120 (members), $145 (non-member) for 8 weeks. All players enjoy a 20% discount in the Bistro on Bridge Nights (food only). Bridge is so popular at Lakeshore and we are excited to launch our fourth session of Introduction to Bridge Lessons, with World Champion, Daniel Lavee. These lessons are suitable if you have never played bridge before. Cost: Members – $125 + HST | Non-Members – $150 + HST (Daniel Lavee’s Booklet is included). WEDNESDAY I APRIL 3 & 17 I 7:30 P.M. So much fun and great prizes! All players get 20% off food in the bistro. League Register and Nightly Registration are at the front desk. 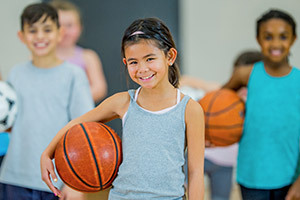 Every Thursday Afternoon … 1:30 p.m. – 3:30 p.m.
60 minutes of coaching / organized play. 1:30 – 2:30 p. m. OR 2:30 – 3:30 p.m.
Takes place in the multi gym. Maximum of 6 players / minimum of 3 players per session. Per session – $12 pp for members / $15 pp for non-members. Every Tuesday from 7:30 p.m. – 9:30 p.m.
For members that would like to play Table Tennis on a regular basis – we now have Tuesday evenings set aside for you, starting next week. Simply call the front desk, no later than noon on Tuesdays, to let them you are planning to come play and they will ensure the tables are set up. PLEASE NOTE: Tables will not be set up if members have not called to say they would like to play – so do not assume it will be every Tuesday unless you call first. Once we have a group of 12 or more then we will start a formal Tuesday Night league. Thursday April 4 I 7:00 p.m.
Texas Hold’em Poker Night with over $250 in prizes! Bring a friend and get $1,000 in bonus chips! "WINE DOWN WEDNESDAYS" IN THE BISTRO! Enjoy ½ price bottles of wine*. Can’t finish the bottle? No problem, take home the rest! *Minimum order of one entree over $14 after 5:00 p.m. – per table. We have specially chosen the perfect packages to bring back your sparkle and freshen up for spring. For more information or to schedule your appointment, contact (416)-466-3704 or lakeshorespa@mayfairclubs.com.